The Brother from Another Planet. Return of the Secaucus Seven. The Secret of Roan Inish. All great movies with terrific writing, compelling characters, a social conscience and real intelligence. 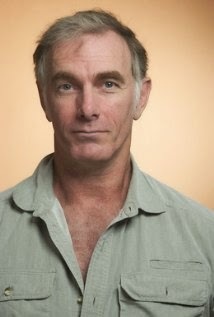 That's John Sayles. He also wrote the screenplays to Piranha, The Howling and Alligator, movies with a lot more wit and spark than you'd expect from the titles. Sayles is a native of Schenectady, New York, and a graduate of Williams College in Williamstown, Massachusetts, which also boasts composer Stephen Sondheim, film director Elia Kazan, playwright A. R. Gurney and actor David Strathairn among its famous alumni. More on Strathairn in a minute, but Maggie Renzi, the woman who would become Sayles' frequent collaborator, producer and life partner, is a also a Williams College grad. Since his college days, Sayles has managed to make movies while still maintaining his own ethos and setting his own path. His screenplays for Passion Fish and Lone Star were nominated for Academy Awards, and he received a so-called "genius grant" from the MacArthur Foundation. His first film, The Return of the Secaucus Seven, put him -- and to a certain extent, indie films in general -- on the map. Sayles has appeared as an actor in six of his own movies, while Renzi showed up in seven. 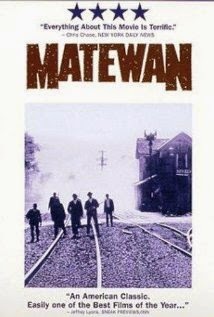 David Strathairn was in six, as well, including memorable roles in Eight Men Out, Matewan, Secaucus Seven and Brother from Another Planet. As part of a program from Illinois Wesleyan University's Center for Human Rights and Social Justice, the Chaplain’s Office, the Department of History and the Office of Diversity and Inclusion, Sayles and Renzi will be visiting Bloomington-Normal next week to discuss their work and screen a 2010 film called Amigo. This week, as a ramp-up to the official visit, IWU has put up a mini-film festival, with Lone Star last night, Matewan at 7 pm tonight and Casa de los babys at 4 pm on March 19 in Ames Library's Beckman Auditorium. Those three films illustrate Sayles' range as well as his commitment to social issues, with Lone Star delving into racism and murder in a small town in Texas, Matewan looking at a 1920 miner's strike in West Virginia, and Casa de los babys centering on American women hoping to adopt Latin American babies. 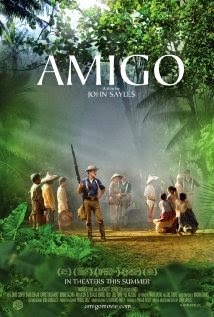 Amigo -- Sayles' look at the Philipine-American war of 1900 -- will be on screen March 26 at 7 pm in the Hansen Student Center, with Sayles and Renzi on hand after the film to take questions. The film features Chris Cooper as a tough American military man and Filipino star Joel Torre as the mayor of a small town caught in the crossfire. Showcasing the fact that he is a master of more than one trade, Sayles will also read from his most recent novel, A Moment in the Sun, at 4 pm on March 25 in Beckman Auditorium. A New York Times Notable Book of 2011, A Moment in the Sun picks up its action in 1897, during the Alaska gold rush. It "takes the reader into the Spanish-American War, the Filipino fight for independence, racial injustice and the plight of working people in the U.S.," according to IWU's press release. You can see the common thread in all these disparate works -- injustice, the struggles of the common man (or woman) and how easy it is to get crushed when corruption, greed, bigotry and wealth come calling. And that is a story that always needs to be told.